If the original 2CV isn't strange enough for your garage, you might want to consider a Hoffman 2CV...wow that sounded like a good idea when it was in my head, but now that I read it on paper..yikes. Anyway, back in the late 1980s a German bloke named Wolfgang Hoffman decided to sell a kit car cabrio body using glass reinforced plastic, steel frame, and running gear from a 2CV that the buyer provided. 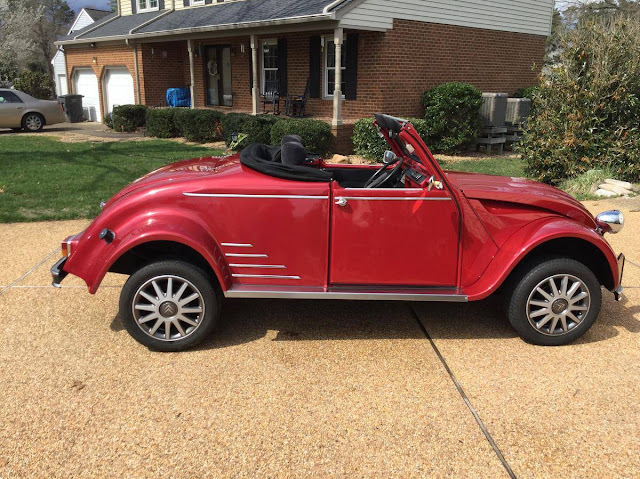 Typically, a kit car will transform the original into something exotic -- a Beetle becomes a 356 Speedster, or a Fiero becomes a Ferrari, or a Eldorado becomes a Batmobile, but the Hoffman kit takes 2CV drivetrain parts and makes a...2CV. 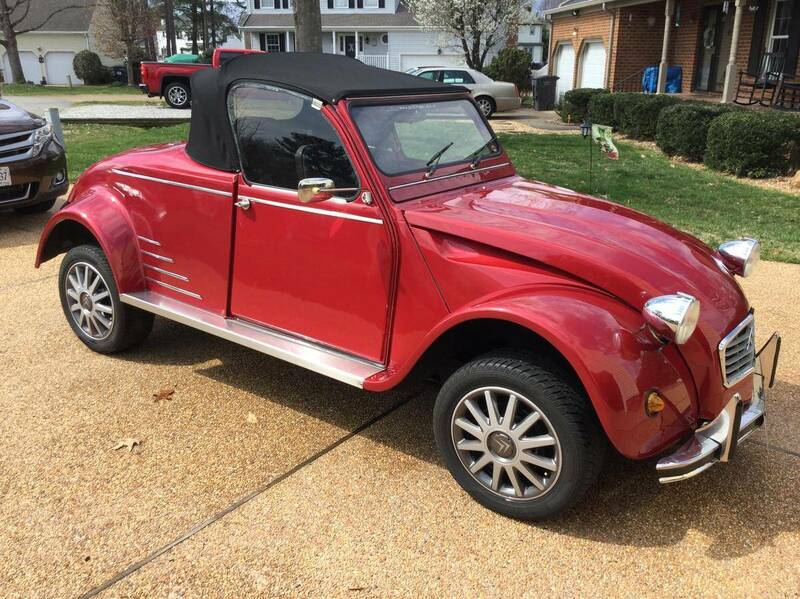 Find this 1986 Hoffman 2CV Cabrio offered for $15,600 in Williamsburg, VA via hemmings. Tip from Rock On! 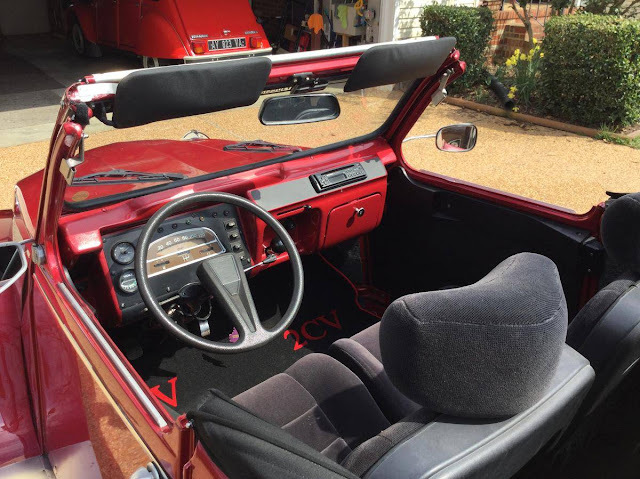 Love those testarossa cheese grater graphics ..
Well, it IS exotic for a 2CV. it might have rollup/down windows. It's the weird lifted stance and the open rear fenders that aren't doing this car any favors. Most 2CVs sit high, but this has the unintentional look of a lift kit. If this car could be modified to have proper rear fenders and sit level and low to the ground, it would be impressive. It would look less Beetle-like. For comparison, look at the other 2CV this person has in their garage. Still, I like this car as it is, I just don't love it. But for me, it's too expensive as is. Oh, and fat tires really screw up the handling of a 2CV. 125x15 forever! I do like the 652cc Citroen Visa engine swap, however.